Live, Work and Travel in Costa Rica; Earn Money, Make a Difference! Are you looking for adventure and travel? Are you tired of working a traditional 9-5? Would you like to help others improve their quality of life by teaching English as a second language? Idioma Internacional in Costa Rica is looking for professionals to join our teaching team starting in August and September 2018! Idioma Internacional is a language institution celebrating nearly 20 years of providing quality instruction and communicative solutions to companies around the Central Valley. Our office is based in the middle of a busy downtown neighborhood of San José, Costa Rica. We are seeking EFL teachers who are flexible, passionate, caring and have a genuine passion for educating and helping others to join our diverse staff. Teachers participate in a robust professional development program with ongoing training to strengthen their teaching skills. Additionally, teachers are trained to be language evaluators and have the opportunity to work in our language evaluation services department to earn more money and expand their international experience. All teachers earn between $750 and $1,150+ per month, working from 18 to 30 hours per week. Classes are held Monday- Saturday between 7am-8:30pm. 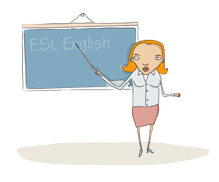 http://www.idiomacr.com/teach-english-costa-rica/apply-now/ or directly email to our email address jobs@idiomacr.com. We hope to hear from you!